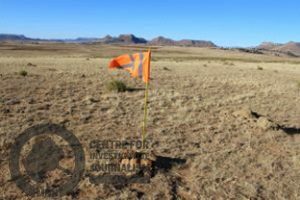 UNCERTAINTY over the compensation that villagers are to receive for the loss of their farmland has cast a shadow over preparations for Lesotho’s first solar power plant in Mafeteng district. Twenty-three residents from three villages in the Mafeteng area have agreed to allow their land to be used for the 40ha project, which will cost about M400-million. But in interviews with the MNN Centre for Investigative Journalism (MNNCIJ), the villagers complained there is still no clarity about the terms of the land deal with the OnePower Consortium, the preferred bidder. But Mr Lenko said the company had not committed itself to disclosing exact amounts. “Do you think we will ever be compensated?” anxiously asked another of the landowners, ’Mathabo Ntomane. She said she took some time before agreeing to relinquish her fields, fearing that she would be “tricked” into doing so without compensation. Ms Ntomane also stated that the village counsellor advised her not to agree to anything before the financial terms of the deal were settled. “As I had already agreed, I reckoned it was a waste of time withdrawing my consent because other villagers were continuing with the process and there was a rumour that our fields were going to be confiscated anyway,” Ms Ntomane said. The lawyer representing community councils in Mafeteng, Charles Tjelle, argued that the consortium had “put the cart before the horse” by clinching the land deal without first spelling its financial offer. “When things are done properly, land should not be touched before the owner knows the price and agrees to it,” Advocate Tjelle said. The OnePower consortium consists of two concerns – OnePower Lesotho and Power Consult. OnePower Lesotho is, in turn, a joint undertaking of Solar Turbine Group Lesotho (STG Lesotho) and the United States-based Solar Turbine Group International (STG International), with STG Lesotho holding 51 percent of the stock. Central to the entire enterprise is Matthew Orosz, a director of STG International, secretary of STG Lesotho’s three-member executive committee and chief executive of OnePower, who insisted that Basotho affected by the power plant are “both receptive to the project and positively disposed towards OnePower and its partners”. He said the consortium had engaged chiefs, the local community council and the district council in the supervision and approval of all processes. Mr Orosz, however, instructed Kopano Tšenoli, who is STG Lesotho president, to respond to the questions of MNNCIJ but the latter could not divulge any further information on how the consortium was working with the villagers. “We are uneasy to open up finer details on this project as we are still on a very diligent stage of negotiations and we don’t want to do anything that may compromise us,” Mr Tšenoli said. MNNCIJ took the matter to Power Consult official Potlako Sefako who was mentioned by one of the land owners, ’Mathato Semuli, as the one who was convincing them to sign agreements transferring their rights to the consortium. Mr Sefako dillydallied responding until the publication of the story. Deepening the villagers’ suspicions is the handling of “form C” documents from the Tšana-Talana Community Council, which serve as proof of ownership of land held under customary tenure. Ms Semuli, whose three fields totalling nine acres, fall within the project area, said that she was shocked when instead of being issued to her, the form was allegedly handed to OnePower to facilitate the lease application. “The company came back to consult us after the authorities asked it to bring approval letters from us agreeing to transfer our land,” Ms Semuli said. The secretary of the community council, Palesa Mokotjo, told the MNNCIJ that the forms had never been in OnePower’s hands. However, Ms Mokotjo said she recalled that the Mafeteng district council secretary, ‘Mathato Makwatle, had removed the documents on one occasion, although she did not know why. For her part, Ms Makwatle said OnePower had taken the forms to the Land Administration Authority for consolidation into a single lease document, but that the authority had wanted proof of land transfer from the owners. She added that the forms were immediately returned to the office of the community council office. The villagers are also worried that the local firm hired by the consultancy to deal with their concerns, Puisano Consultancy, is not sufficiently independent to represent their interests. One of Puisano’s directors, ‘Mareitumetse Sefako, said the consultancy would mediate between the main contractor and the villagers to ensure that the financial settlement is handled in a way that satisfies both parties. However, the MNNCIJ has established that Ms Sefako is related to both Potlako Sefako and Relebohile Sefako, who head Power Consult, one of the members of the OnePower consortium. In an interview, ‘Mareitumetse Sefako vowed to maintain Puisano’s independence. It would not favour the interests of Power Consult, despite her “brother in law” heading that company. “Our engagement was a matter of skills and experience,” she said, adding that Pusiano’s aim is to ensure that villagers benefit materially from the project. The MNNCIJ has established that Puisano was incorporated on 6 April this year – about a month after the OnePower Consortium was selected as a preferred bidder on the solar project. Ms Sefako said that after the land was valued, villagers directly affected by the power plant might receive their reward as a lump sum. A community fund would also be set up to finance a project to be decided upon by the villagers. She said Puisano expected to complete its study and produce a report in November. Payments to villagers would start in December before OnePower begins construction. Power Consult would maintain the plant for 25 years, when the government will decide whether to take it over or extend the consortium’s contract. Lesotho’s electricity consumption is currently estimated at 176MW a year, while the country produces 74MW through its ’Muela Hydropower Station and the unreliable Mantšonyane Power Station. The balance is imported from Eskom and Electricidade De Mozambique, at a projected cost of M432.7-million for the 2017/8 financial year. The new solar plant will feed an additional 20MW to the Lesotho Electricity Company (LEC), as well as creating about 250 jobs. It will be partly funded by the African Development Bank, which announced in August this year that it would provide a grant of US$695 500 (about M9.27-million) towards its development.